A multiple James Beard Award winning writer, chef and pioneer of American food, Judith Choate’s impressive culinary career spans more than 50 years and 100 cookbooks. 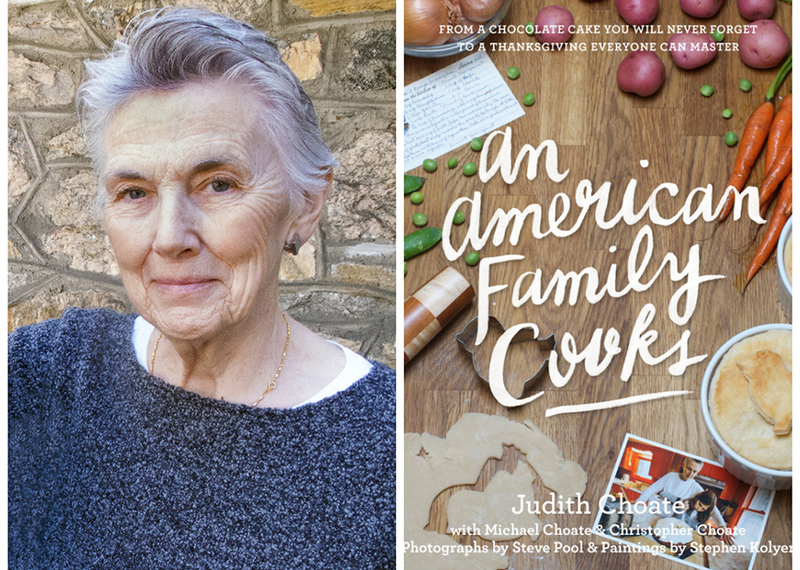 Choate’s latest book, An American Family Cooks, is a prolific volume of recipes and kitchen memories from the Choate family archive. Below, Choate talks about working for Charlie Trotter, her new cookbook and tips for getting kids involved in the kitchen. Plus, she shares her recipe for her go-to fall dessert. 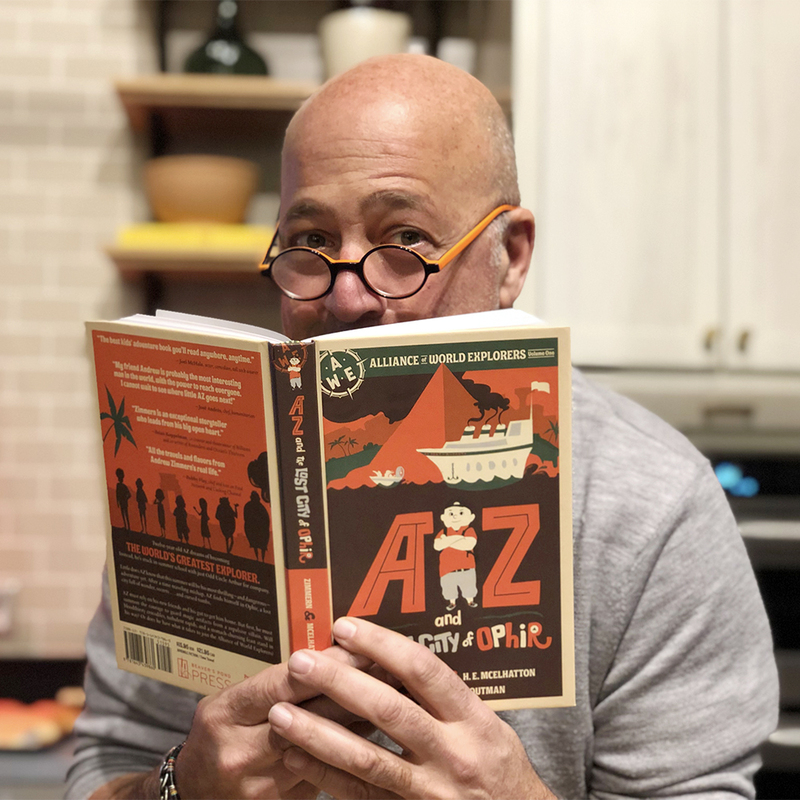 AndrewZimmern.com: How did your career in the culinary world begin? Judith Choate: I was well-known among friends and neighbors for the gifts that I made in my kitchen and I eventually was asked by a publisher I knew to write a book called “The Gift Givers Kitchen” – first published in 1970. I gave holiday gifts that I had made in my kitchen simply because that is what had always been done in my family. My mom and I would make cookies, candies, breads, and cakes – often cookies in the thousands. At holiday time I still make my grandmother’s fruitcake and Scotch shortbread as well as the fudge, date nut bread, and Boston brown bread I made with my mom. Throughout the summer and fall I can jams, chutneys, pickles, and relishes to give. Chris, my youngest son, makes his own vinegar to give so the tradition continues. 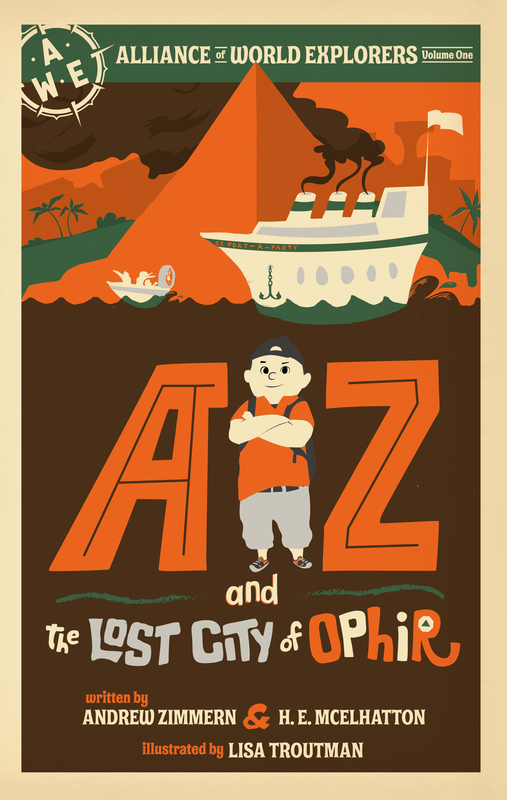 AZ.com: You’ve authored or co-authored more than 100 cookbooks. What is the most challenging part of writing a cookbook? The most rewarding? JC: The most challenging is to be able to capture the voice of the chef, culinary personality, or manufacturer that I am (ghost) writing for. The most rewarding is when I’m told that I have done so successfully. AZ.com: What’s it like working with some of the world’s most accomplished chefs, including Charlie Trotter and David Burke? JC: I worked with Charlie in a very different way than most of the chefs I’ve worked with over the years. I worked solely as a product developer, very early on when he started his product company. I will say he did one of the greatest justices to my career ever because whenever I told someone I worked with Charlie Trotter, people thought that I must be able to work for anyone. At first, I thought it was because of his temper, but really it was because he was such a stickler for perfection – if I met his requirements, than I must be okay. It was really an honor to work for him. I worked for him for about four years developing a line of sweet and savory sauces that he sold in the restaurant and to high end grocers such as Dean & DeLuca and Zabar’s. He’s notorious for his bad temper, but I never saw him behave as anything but a gentleman. AZ.com: Any chefs you’d still love to work with? JC: I have, for many years, been trying to get Chef Alain Sailhac (now retired from a brilliant career that began as a 14 year old apprentice in the south of France) to write his memoir and I think we’re almost there. 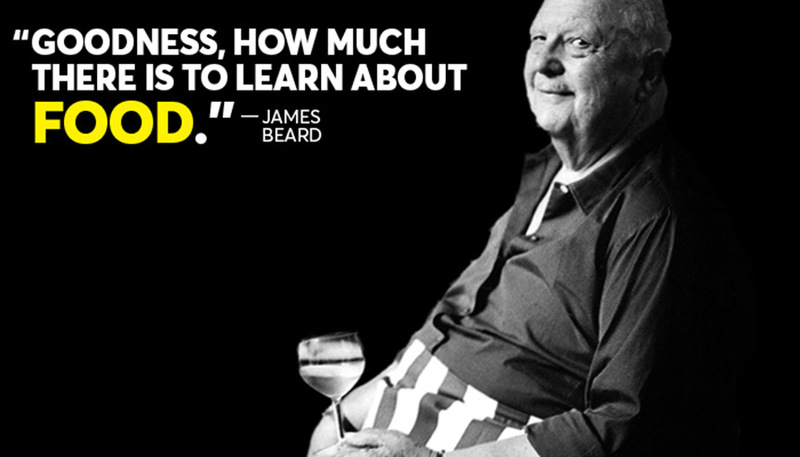 I think that there are probably a lot of unknown chefs and cooks out there who have great stories to tell and recipes to share – it would be fun to discover a few of them. I am particularly interested in cooks with a passion for the craft. AZ.com: An American Family Cooks is chock full of family recipes and stories. How did you go about putting this substantial book together? JC: It is rather like a diary that has been ongoing for many, many years. So much was left out – recipes I love, family stories that I would still like to tell. It was far more difficult to eliminate material than to put it all together. AZ.com: What’s the best way to ignite a child’s interest in cooking and food? JC: By making it fun and sharing the joy of gathering at the table. The key to getting children interested in cooking is to always involve them in everything, don’t ever let them not help. Many years ago I was teaching a cooking class and one of my students brought his 8-year-old daughter. I invited her to come up and help me. I handed her a small knife and told her she could help me cut up the peppers. Her dad looked a little nervous, but I said ‘Don’t worry, she’s fine’ – and she was. You need to give children a sense of their own abilities in the kitchen. They will take to it like a duck to water. Cooking is all about education – it’s creative, it’s visual, it’s math, it’s design. It can be fun, and not work. AZ.com: What are a few of your favorite recipes? JC: I have so many, but I would guess that all of my most favorite recipes are simple, peasant dishes – even after making chicken pot pies daily for over 10 years, I still love the comfort of them. JC: It’s pretty well stocked all the time as we tend to have spur of the moment dinner get-togethers very frequently – that being said, you’ll always find a bottle or two of champagne, maybe a Sancerre or Sauvignon Blanc, a couple of cheeses, charcuterie, lots of condiments, hummus, and half eaten jars of any number of homemade jams. Get Judith’s recipe for Apple Pizza from her cookbook An American Family Cooks. Judith Choate is a multiple James Beard Award-winning writer, chef, and pioneer in the promotion of American food and author, co-author, and ghostwriter of more than 100 books. Through her company, Custom Cuisine, Judie works as a consultant in product development for commercial distribution as well as in marketing, restaurant development, and culinary presentations. She has been consultant to many internationally known chefs, as well as to companies such as Heinz, Starbucks, and Costco. More about her at notesfromjudieskitchen.com/about.